The Newport Folk Festival and the folk music scene as a whole had never seen anything like Bob Dylan. 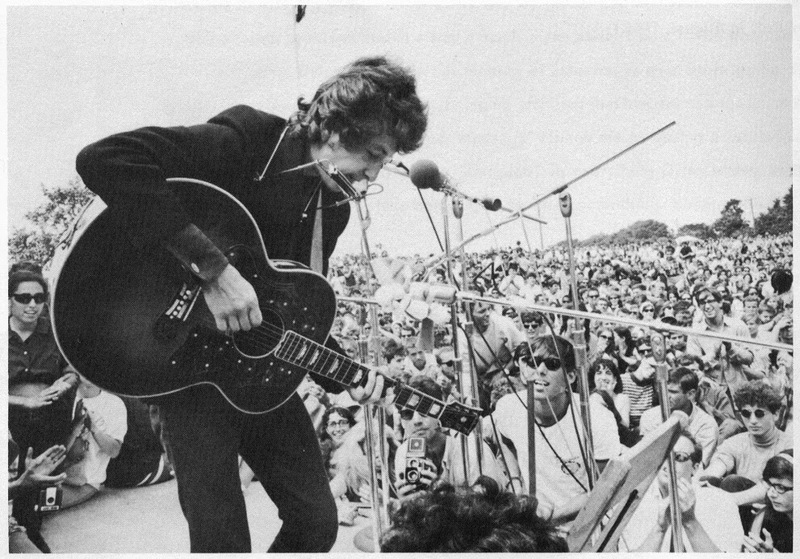 Wearing dark shades and a leather jacket, Dylan dared to use an electric guitar despite the protests of other singers. This moment of protest was caught on video and continues to be used in documentaries. This iconic song was written by Marley as an inspirational song for those suffering poverty and oppression in Haiti. Over the years, it has been a song to inspire all people to stand up for themselves in the face of oppression. It calls to the listener to never give up. This is indeed a fantastic message of hope and perseverance that can transcend time. Millions of people all over the world were turned on to music videos when MTV was launched in 1981. The music video format helped launch many stars to unprecedented fame and fortune. As MTV expanded their reach, many types of music found their way into more homes than ever. Artists such as Madonna, Michael Jackson, Nirvana, and more found a home with the young audience of MTV. The internet has made it possible to view many of the most iconic moments in music history. Viewing these videos can help generations of people connect with their historical music roots. For those of us who lived through these moments, they can be a fun trip back in time. If you have a music blog or article to write, you might find that stock video footage can make it easier to capture readers and drive traffic to your site. Stock footage ensures that you continue to have the rights to stream the video from your site. No more embarrassing messages popping up that a video has been removed – dead links can make sure that your readers find another blog or article to read. There was a time when many people wanted to get a guitar, ditch the suit, get some flannel, and move to Seattle. Bands such as Nirvana, Soundgarden, Pearl Jam, Alice in Chains, and more, all experienced success in the late 80s and 90s. Some of them are still making music today to cater to the huge followings they gathered back in the day. Many of their performances were recorded on video so they can be enjoyed today.